There is much to be found in Kyoto. Rudy presents the concept of wab-sabi, the uniquely Japanese art of finding beauty in everyday life. 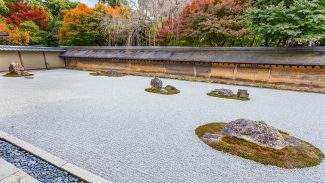 Visit a 15th-century Zen garden, and Philosopher’s Walk, the most popular place to take in spring flowers.